Give these warm decorated stockings as special gifts to family or friends. You can tuck money, a note, or gift cards into these brightly decorated stockings. 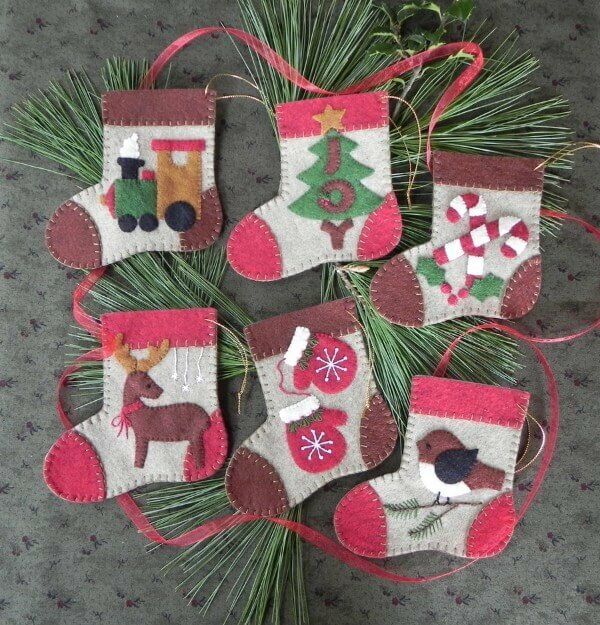 Kit includes wool felt, embroidery floss, gold string and a pattern to make 6 ornaments.